Diatom earth is pefect for the bathroom, for it absorbs moisture and dries very quickly due to its tiny pores. And as the south of Chinese and Japanese are mad about all things bathing-related it was only a matter of time before they put diatom earth into a bath mat. And this is the result, the Diatom Bath Mat. 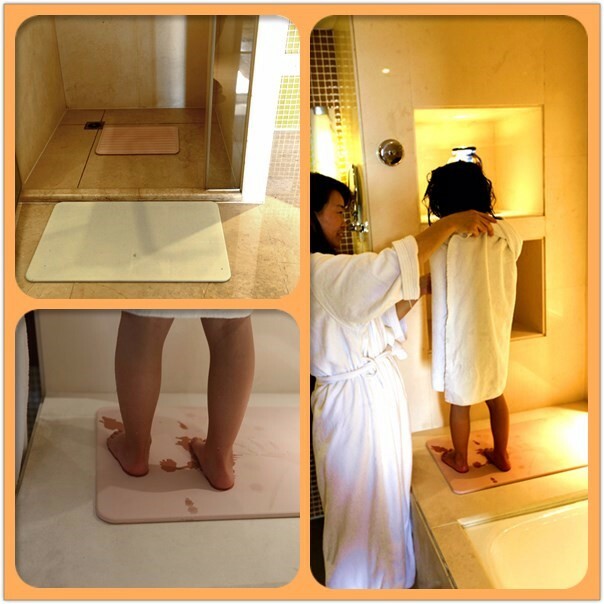 The diatomite bath mat could be used in front of bathroom and bath tub. 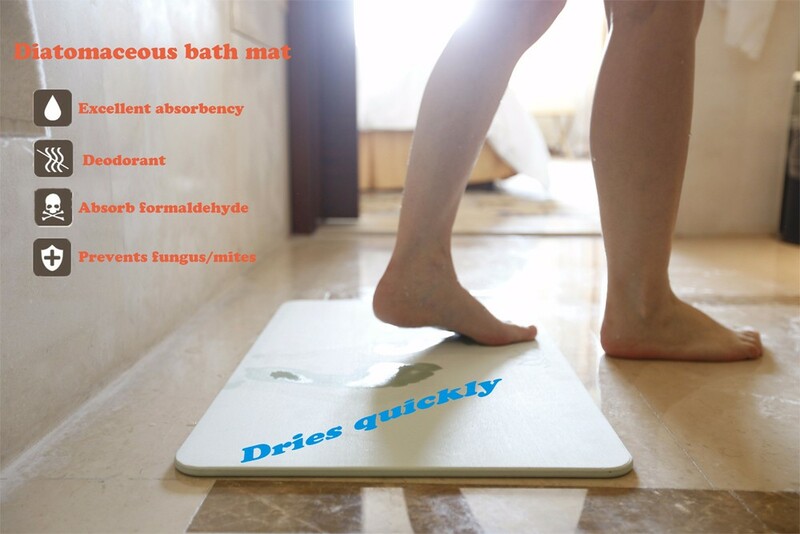 The special characteristics of diatomaceous earth get the diatomite bath mat a lot of good performance more than you expected. Diatomaceous earth is very popular material these years. Diatoms are tiny, single-celled algae found in plankton in ocean. Diatoms accumulated after they died, then fossilized into diatomaceous earth after hundreds of millions of years. The main components are silicon dioxide, light and porous. Electron microscope shows that diatomaceous earth is nanoscale porous material with diameter at 0.1-0.2 micrometers, the porosity is up to 90% and the pores are regularly organized into circles and its micropores quantity in unit area is several thousands times of active carbon’s. Such unique molecular characteristics contributed to the excellent function of diatomaceous earth. Both side could be used with the same effect. It has excellent absorbency and dries quickly. Natural material diatomaceous earth could provide you and your family safe and amazing experience. *Diatomite bath mat should be put outside of the bathroom, i.e., it couldn't be used under the shower. 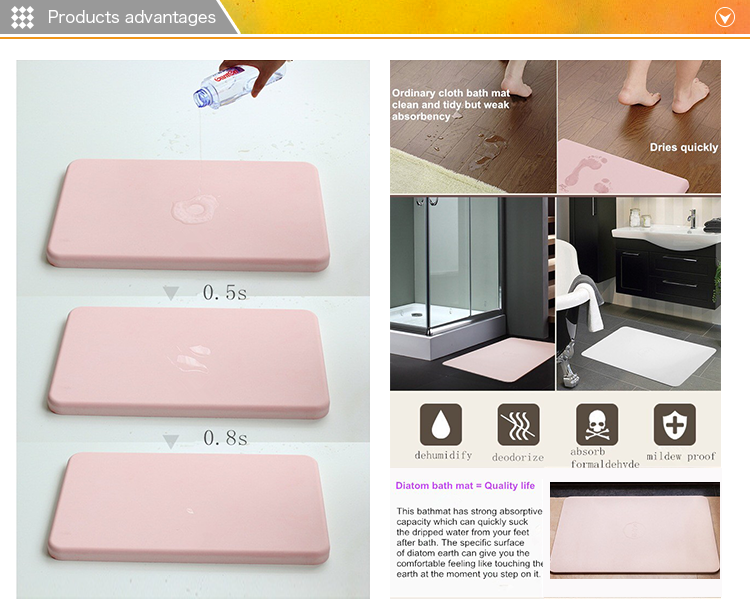 *Diatomite bath mat coud not be used on the uneven ground or soft ground and also not on the sharp object. 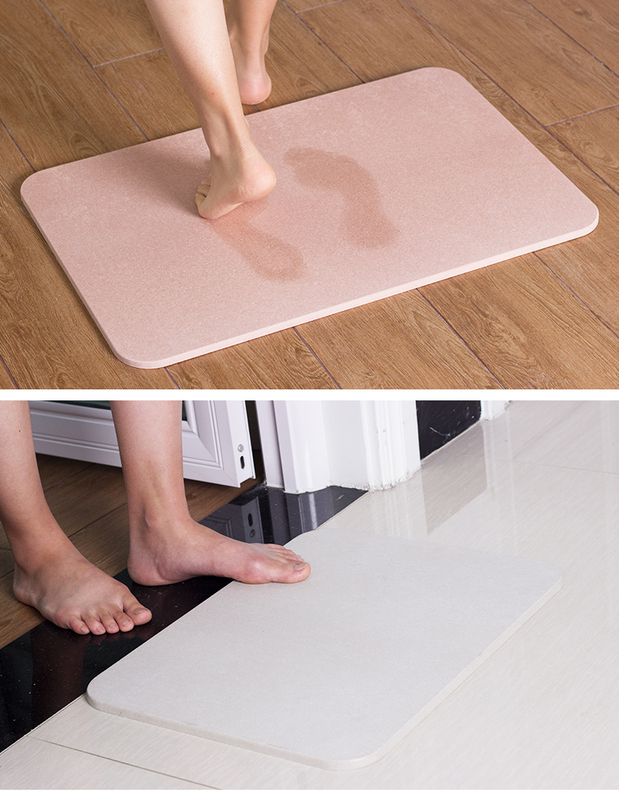 *To get better non-slip result, you can put one piece of plastic film between the bath mat and ground. *Please get barefeet step on the diatomite bathmat, that would keep it clean much easier and get the absorbant function realized perfectly. *This diatomite bathmat belongs to fragile articles,don't get it bear the weight more than 250KG and not get the angles touch the ground firstly when drop from very high places. If it's broken, the pieces of diatomite bathmat could be collected into a cloth bag and to become the deodorant used in wardrobe, storage box and drawers.